TWO shows on Friday night 6/29!!! Come join us in TROY this Friday night (June 29th) for an incredible night. 5 hours of music, 13 acts, so much amazing music you won't be able to see anywhere else. Then, immediately following that extravaganza, walk down to 51 3rd St. for a night of experimental ambient noise and sound scape. Come early with something yummy to throw on the grill! Insect Factory is music from Silver Spring, MD musician Jeff Barsky. Insect Factory focuses on texture and mood, building layers of dense sounds that slowly evolve into hypnotic andatmospheric drones. 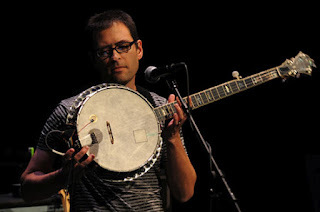 Since the 90′s, Barsky has continuously played in bands and improvisational collectives, and has performed frequently on the east coast of the U.S., in Canada, throughout Europe, and Japan. 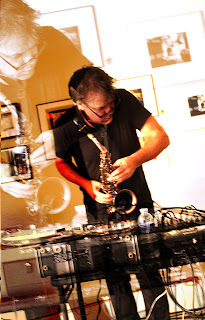 Barsky’s various projects have shared the stage with acts as diverse as Richard Pinhas, Nels Cline, Acid Mothers Temple, and Carla Bozulich, and he has performed at Suoni Il Per Popolo festival in Montreal, Terrastock 7 in Louisville, KY, and D.C.’s Sonic Circuits, Queering Sound, and Fringe Festivals. Insect Factory’s first release, “Air Traffic Control Sleep”, was released in the late summer of 2007, to acclaim from the likes of Washington Post, the Wire, and Terrascope. Following a recent split 7″ with RST (New Zealand), Melodies from a Dead Radio is Insect Factory’s second full-length and vinyl debut. Public Speaking is the music of Brooklyn solo artist Jason Anthony Harris. Utilizing found objects, radio, tape recorder, and vocoder, he pores over pedals to loop, warp and augment these sources. His performances are highly improvisational, with an emphasis on immediacy and site-specific actions. The electronic capturing and mangling of acoustic sounds is an obsession for Public Speaking. Pieces of metal, wood, plastic, and video cassettes are stricken to the pulses of polyrhythmic, textural compositions. A microphone is pummeled against the floor in place of a bass drum and slashed across speakers to create reprocessed digital sweeps. One performance found him beating and scraping a wooden chair across the stage to create a bed of dissonant clatter to croon over. G. Lucas Crane is a sound artist, performer, and musician whose work focuses on information anxiety, media confusion, and recycled technology. Using a combination field recordings culled from the underbelly of the contemporary sonic media landscape and homemade electronic instruments, oscillators and broken machines, he creates compositions and performances as a reaction to, and illustration of, our information detritus choked times. Past work has dealt with musicality of a location or route, horror and phantasm in the information age, technology as abomination, the mystical presence of obsolete recording technology, recording as ritual, and the religious, poetic, and magical connotations of feedback and improvisation. Many of the soundscapes and collage work are built around quickly moving tape manipulations, the common cassette being a perfect example of old technology as iconic personal Gnostic totem. Years of environment recording and sample hunting have resulted in a broken library of material that is collaged together live, an information life that is constantly folding back on itself fractal-like, which he believes illustrates modern experience. 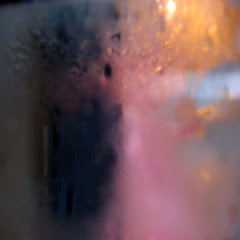 Tape manipulation harkens back to the early days of experimental music, and in the context of the digital era it creates a sonic counterpoint on the continuum between hi and low fi, folk outsider and academic composition. Crane's work exists in a meditation on the blurred boundary between new and old tech and the emotional and social toll created by the rapid advancement of the technological sonic/environment. Collaborations include sound design for the Performance Thanatology Research Society’s production of ‘History of Heat’ and 'The 50 Greatest Ladies and Gentlemen" at the Ontological Hysteric Theater in New York ; a batshit crazy full US tour with Woods; a European tour with drone collective Vanishing Voice; a production of ‘Oh What War’ at Here Theater in NYC with the Juggernaught Theater company; a ghost story album with Baltimore experimental vocalist Ric Royer; Machine design with New York electronic Instrument company CasperElectronics; Studio and performance work with musical entities Woods, Castanets, Grizzly Bear, and Wooden Wand; and solo performances as Nonhorse in the US and Europe. He also co-runs Silent Barn, an experimental art and performance space in Queens, New York City. SUSAN ALCORN!! JEFFERSON PITCHER!! soundBarn!! Come join us on a rare TUESDAY night show at ASAC. We'll be at the Upstate Artists Guild (247 Lark St. in Albany), and this amazing show will feature two astoundingly creative and well-known guitarists. 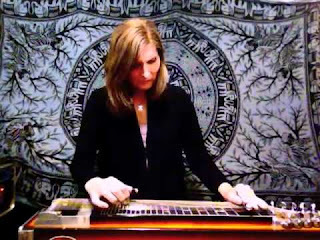 Susan Alcorn will be visiting from Texas, displaying her improvisational skills on the pedal steel. Also performing will be Jefferson Pitcher, a phenomenal local guitarist soon to be moving out of the area. Make sure to catch him before he's gone! Both sets will provide proof positive that the electric guitar (in its many guises) still holds the power to inspire musicians and audiences alike. Don't miss out!! $5 suggested donation for the traveling musicians. Susan Alcorn is a Baltimore, Maryland-based composer and musician who has received international recognition as an innovator of the pedal steel guitar, an instrument whose sound is commonly associated with country and western music. Alcorn has absorbed the technique of C&W pedal steel playing and refined it to a virtuosic level. Her original music reveals the influence of free jazz, avant-garde classical music, Indian ragas, Indigenous traditions, and other musics of the world. The UK Guardian describes her music as "beautiful, glassy and liquid, however far she strays from pulse and conventional harmony." Though mostly a solo performer, she has collaborated with numerous artists including Pauline Oliveros, Eugene Chadbourne., the late Peter Kowald, Chris Cutler, Fred Frith, Maggie Nicols, Joe Giardullo, Joe McPhee, Mike Cooper, Lê Quan Ninh, Ellen Fullman, Evan Parker, Ellery Eskelin, and John Butcher as well as continuing projects with Caroline Kraabel, cellist Janel Leppin and Scottish guitarist George Burt. Her newest release Touch This Moment is available on Uma Sounds. 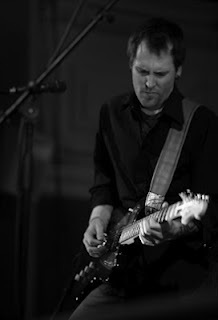 Jefferson Pitcher is a guitarist and composer originally from the San Francisco Bay Area. He spent his formative years involved in the DIY Berkeley punk-rock scene, at 924 Gilman Street, which still influences him today. Yes, he was at Operation Ivy’s last show. While much of his work explores free improvisation, he also draws heavily on his gift for melody, as well as on the simple repetitions of minimalism, the space and North African influence of flamenco, and a history of performing and recording in the West Coast indie-rock scene as a singer-songwriter, where he fronted the band Above the Orange Trees. Since that time, Pitcher has released music with Standard Recording Co. (USA), Digitalis Recordings (USA), Camera Obscura (Australia), Tape Drift Records (USA), Moonpalace (Spain), Dutch East India (USA), Words on Music (USA), Tract Records (USA), and his own Mudita Records (USA). He has performed and recorded with a wide range of artists including Pauline Oliveros, Fred Frith, Ikue Mori, Okkyung Lee, Scott Amendola, Rosie Thomas, Christian Kiefer, J. Matthew Gerken, Denison Witmer, Sarah Weaver, Mark Dresser, Mike Bullock, Tim Keiper, David Gibson, Kristina Forester, Ron Guensche and many more. He has twice been featured on NPR’s “All Things Considered” and has been well reviewed by Pitchfork, Blurt, The Melbourne Sun, Prefix, and Harp magazines. Pitcher holds an MFA from Rensselaer Polytechnic Institute, where he studied improvisation and composition with Pauline Oliveros and Neil Rolnick. He is married to author and visual artist Keri Smith, and can often be found on some hilly country road riding his bicycle while daydreaming about the minutiae of guitars and the endless wonder of sound. Help us say goodbye to Holland Hopson!! BEN MILLER - alto sax, tapes, the zoo, voice and projection in support of a new release on Living Records. Ben has performed at ASAC a few other times, and was formerly a member of Destroy All Monsters, Sproton Layer, and other units. He's one of the best out there, and you shouldn't miss this performance. HOLLAND HOPSON - one of the founding ASAC members, and an incredible multi-instrumentalist. This will be Holland's last performance as a local Albany resident. He's moving to Alabama (you know the rest of the song, right?!? ), so this will be your best opportunity to see him live before he skips town. BARN OWL - amazing trio of improvising musicians extraordinaire. Matt Weston on drums/percussion, Andy Crespo on bass, and Chris Cooper on prepare guitar/electronics. You're always in for a treat with these guys. CLAYMATION - solo electric guitar improvisation from C. Baird Buchanan. We're excited to have Baird bring his solo project to ASAC for the first time.